This small original bottle and glass holder that can be hung on walls is made of dark wood. It is part of the new line of home décor accessories and it is available in different shapes, finishes and colour effects. 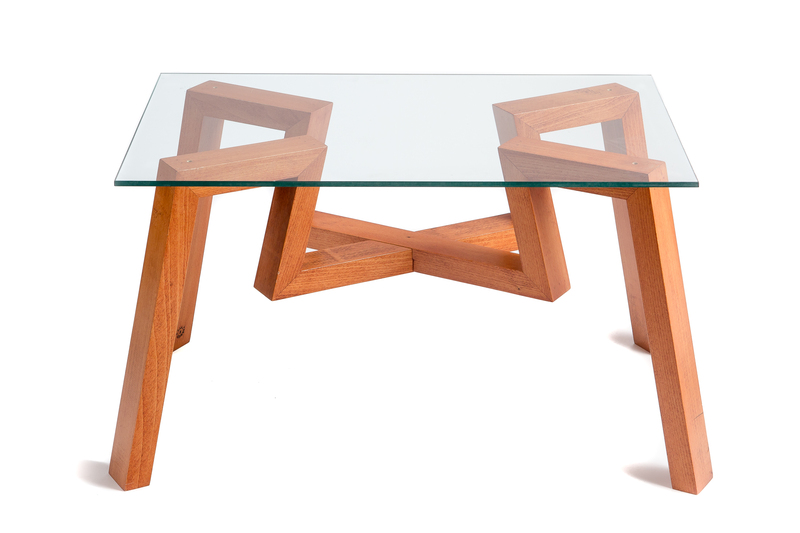 This low wooden coffee table captivates for the particular shape of its feet and the glass top. Available in different sizes, it is part of the new production of home décor accessories crafted by this artisanal carpenter’s shop. 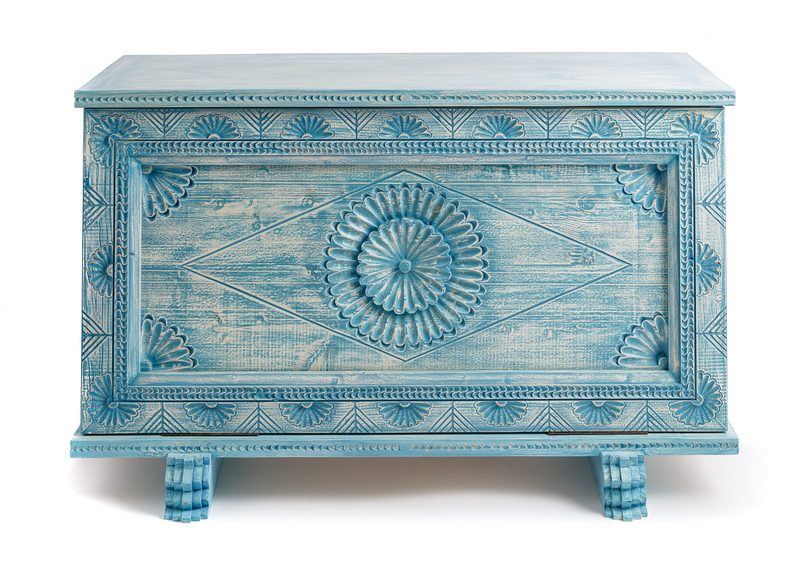 This unique chest with central interchangeable panels in glass and wood has an exclusive design characterised by the reinterpretation of the typical motifs of the traditional Sardinian chest. Available in a particular colour rendering, it comes in different sizes and colours. 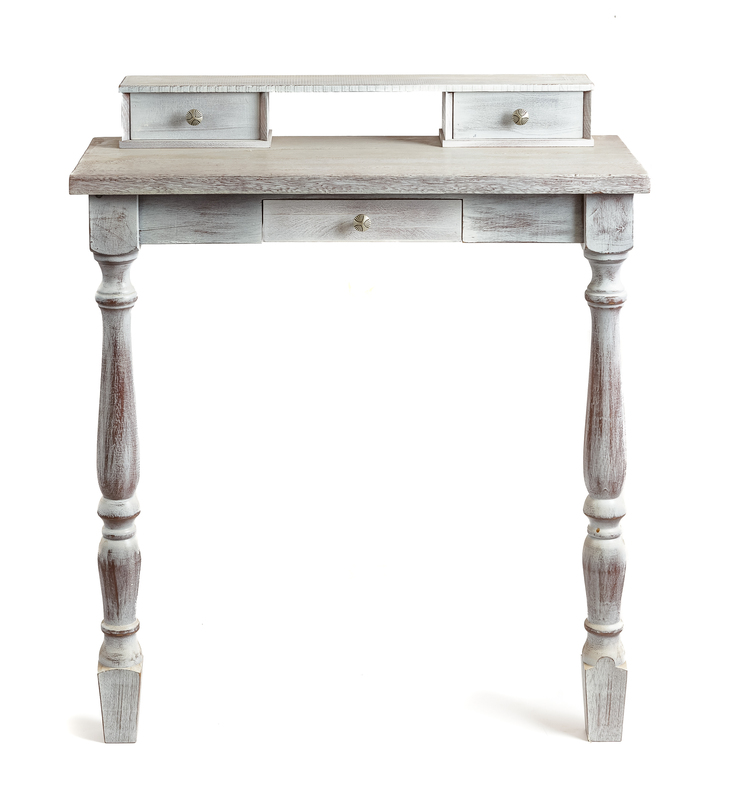 This small console table for the hall has an essential design and, not being very wide, it is easy to place in different rooms in the house. 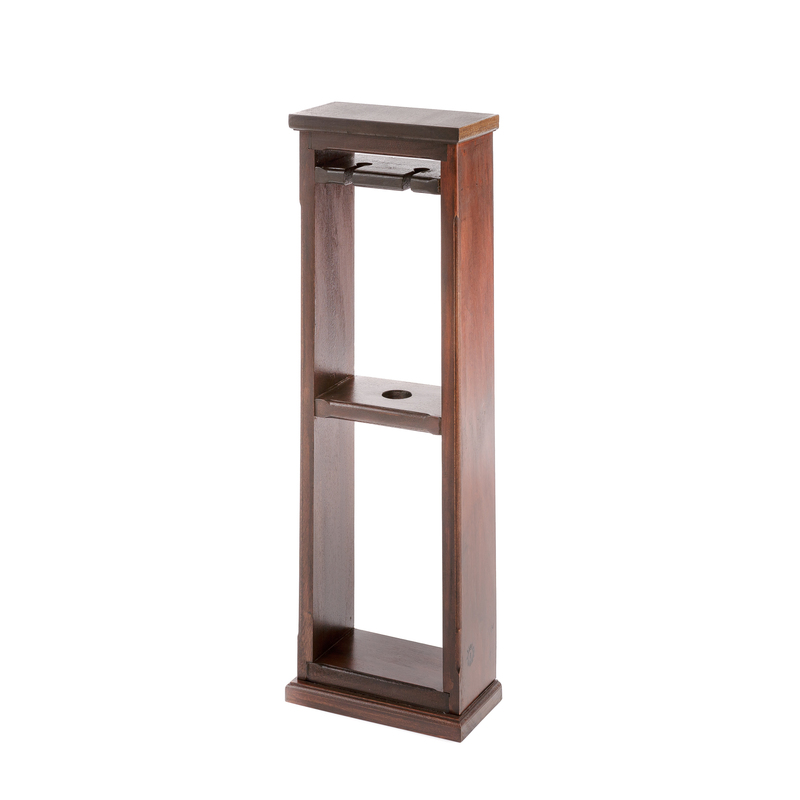 It can be complemented with a mirror with the same finishing details. This small original bottle and glass holder that can be hung on walls has an uneven white finish. It is part of the new line of home décor accessories and is available in different shapes, finishes and colour effects. The carpenter’s workshop of Fratelli Puggioni in Nuoro is the keeper of an invaluable family history characterised by ancient craftsmanship handed down from 1930 for four generations. Sergio, Gianpaolo and Alberto grew up watching and sharing the passion and work of their father Francesco in his large and well-equipped carpenter’s shop, specialised in artisanal doors and window frames and furniture, and in 2001 they officially took over the management of the family business. Holders of a prestigious legacy that dates back to their great-grandfather Angelo, a renowned craftsman who realised many important portals and doors and window frames for the historical buildings of his town, they continue the production building on the wise craftsmanship of the family with custom-made doors and window frames in addition to a line of home décor accessories with original design. They work in perfect synergy, each of them being specialised in a specific technical phase so as to guarantee first-class products. The production of Falegnameria Puggioni is characterised by the high quality of doors and window frames and custom-made furniture, made with exclusive craftsmanship using first-rate wood and materials. 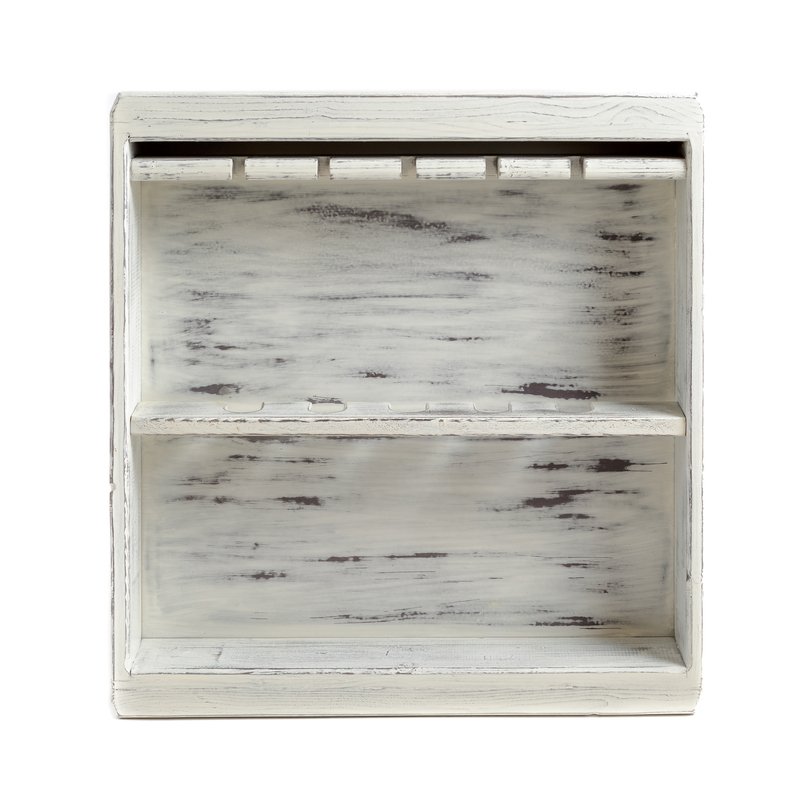 This production is complemented by a new line of home décor accessories with original and creative design. All the phases of production, starting from design, choice of materials, cutting, assembly and finishes are carried out in an artisanal fashion in this carpenter’s shop. Noteworthy is the brushed finish antique effect obtained by customised procedure especially devised by the Puggioni brothers.